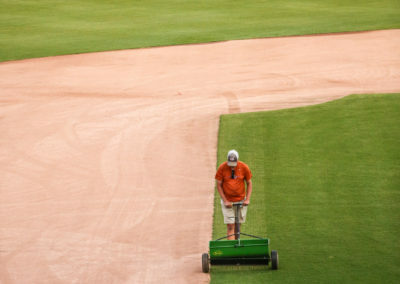 I had an inter­est­ing chance to see the work that goes on with grounds crew at the Durham Bulls Ath­let­ic Park. The interns were get­ting some train­ing on groom­ing the mound and I love all the details of the park. Total­ly a first class home for our Bulls & I can’t wait till next sea­son!